Don't let a yard that receives little sun keep you from landscaping. With the right plants, you can enjoy a lovely garden that will thrive in the shade. I used to live on a gorgeous piece of property in the heart of the Appalachian Mountains. Although the setting was lovely, I was frustrated by my inability to keep plants heathy in the shady environment. Little did I know then that there are actually several plants that thrive in shade. Do you have a similar situation? Look no further! I’ve put together a list of five low-maintenance plants that thrive in shade. I’m starting the list off with my go-to shade plant: hostas. This tried-and-true beauty is sure to please with its vibrant green leaves and simple, yet, lovely blooms. There are around 2,000 different types of hosta, each varying in the shape, texture and color of the leaves and blooms. 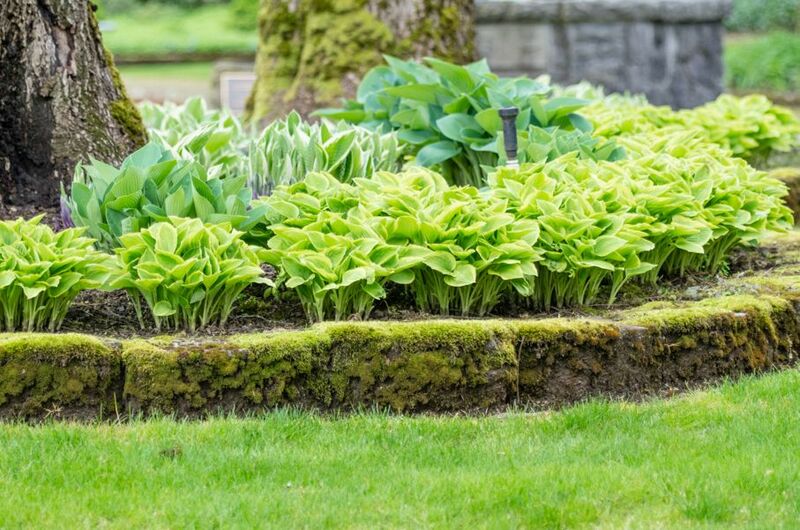 Hostas do great in partial or spotty shade. They don’t mind a little sun, but too much can scorch the leaves. 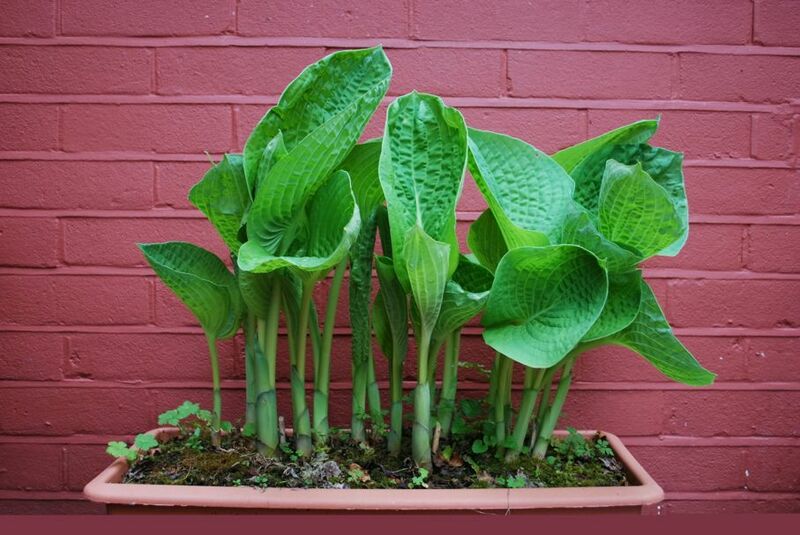 Good thorough watering will keep your hosta looking its best – about an inch per week will do. Plant them in a loose soil to promote proper drainage. This plant is a perennial, so you won’t have to worry about replacing them next year. In fact, they’ll even multiply to make new plants that can be redistributed to other places in your landscape. I’ve had hostas for years, and must say that they are such a hardy plant! They’ve even withstood trampling by kids and animals and still look great. 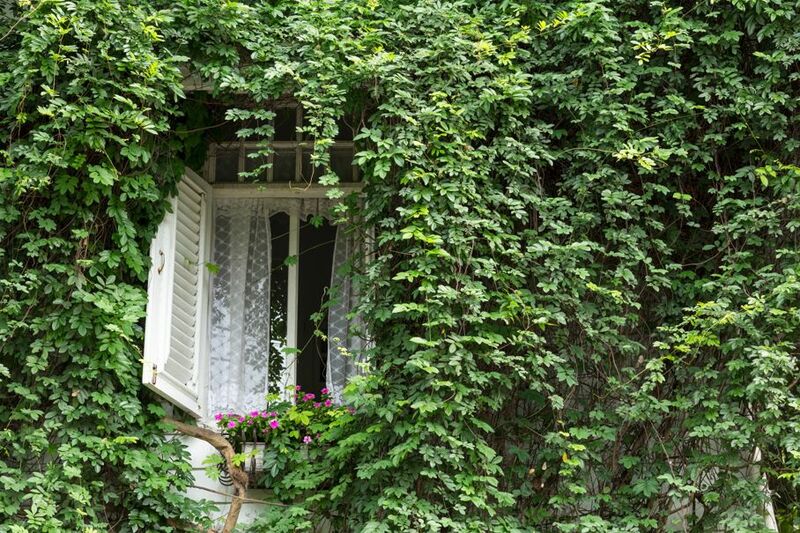 Sure, we’ve all seen English Ivy crawling up a piece of lattice or the side of a home at some point. This shade-loving vine is easily recognized by its green leaves and white to light green veins – although some other variations do exist. Why is English Ivy so common? No doubt it’s because of how incredibly low-maintenance and easy to care for it is. English Ivy is another perennial plant, too. I’ll just go ahead and hit the easy button for you now. Ideally, English ivy prefers loose, most soil and a shaded location. However, once you’ve got your plants well established, they won’t need much. In fact, established plants can even tolerate full sun and dry conditions. They’re nearly foolproof! Let me warn you – English ivy will easily spread and climb! You’ll want to avoid planting it too closely to other plants so that it doesn’t overtake them. Unless having it scale the side of your house is your thing, be mindful when planting close to your home too. 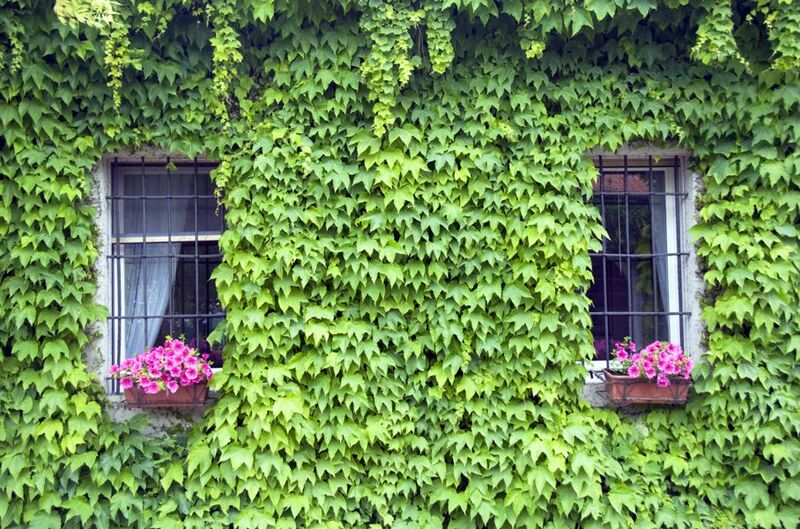 That potential situation can be controlled by keeping your English ivy pruned back. White trillium is a no-brainer for shade areas. It’s is a woodland plant, so shade is where it flourishes. Each spring, you can expect a large stalk to emerge from the dark green leaves. Atop each stalk will bloom a simple white flower. The entire arrangement can reach up to 18 inches in height. As with other woodland plants, it prefers a moist well-draining soil. The sunlight requirements are anywhere from partial to full shade. Top it off each year with some manure or compost and you’re good to go. It’s yet another perennial species, so you’ve got next year covered. Are you noticing a theme here? 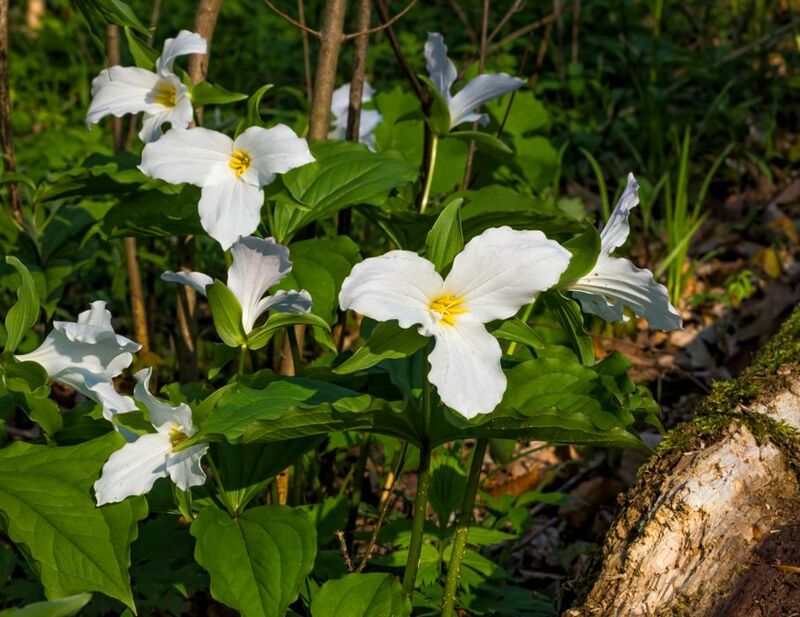 Other names for White trillium include wake robin, trinity lily, American wood lily, great white trillium, large-flowered trillium, and large flower wakerobin. Bleeding heart is a show-stopping delight for any shade garden. Each spring you will notice curved stems surfacing with blue-green leaves. Soon after, the plant will bloom with several delicate heart-shaped flowers that cling to the underside of the stems. The vibrant flowers can be white, pink, or a combination of the two. 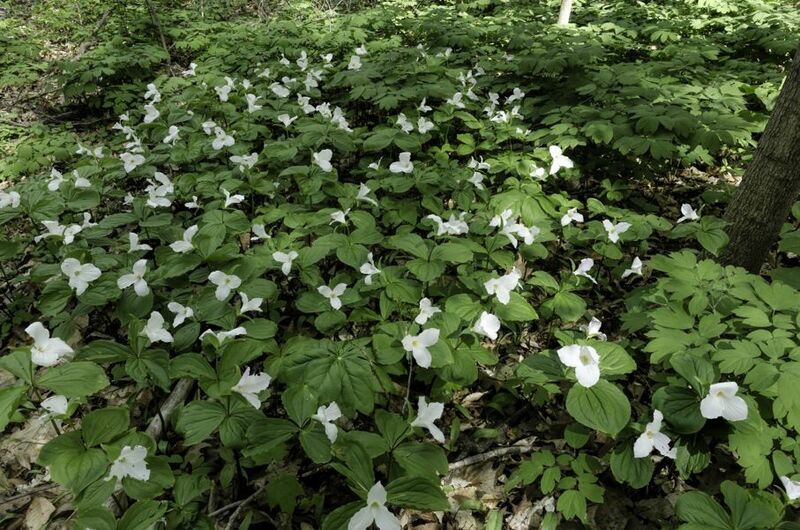 The ideal environment is similar to that of the white trillium: partial to full shade, moist well-draining soil, and an occasional supply of organic matter. While it’s growing each spring, give it a weekly quantity of about one inch of water. 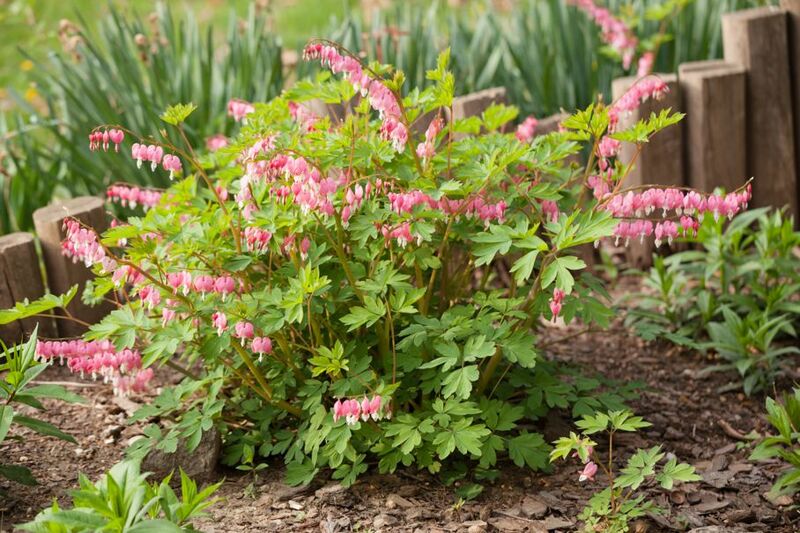 After the blooms of spring have died, you’ll need to resist the urge to prune back the stems because it’s at this stage that the bleeding heart stores nutrients for next year’s growth. Don’t be alarmed when the plant turns yellow and dies back to the ground in summer. This is completely normal for the bleeding heart plant. Don’t worry, it will be back next spring! 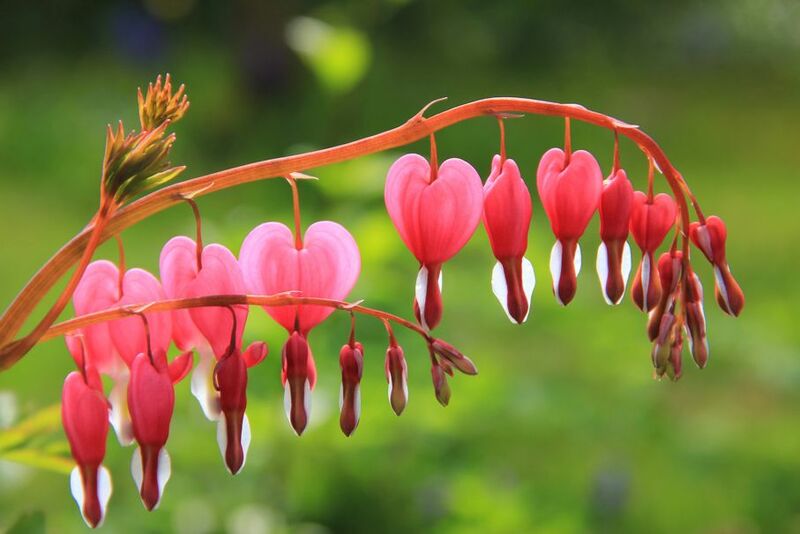 Other names for the bleeding heart include lady in a bath, lady’s locket, and old-fashioned bleeding heart. 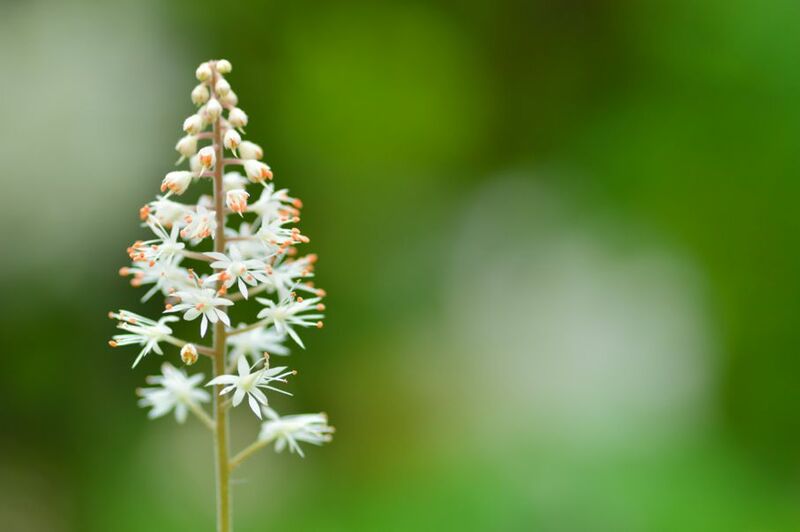 Wrapping up the list is one more woodland beauty, tiarella. The heart-shaped greenery of the tiarella remains relatively low to the ground, making it a good ground cover. Every spring, several tiny white flowers will bloom around a tall stalk. The small flowers are shaped like stars and have a wispy appearance. From a distance, the blooms look somewhat like soap suds on a stick – which is why it’s commonly known as foam flower. 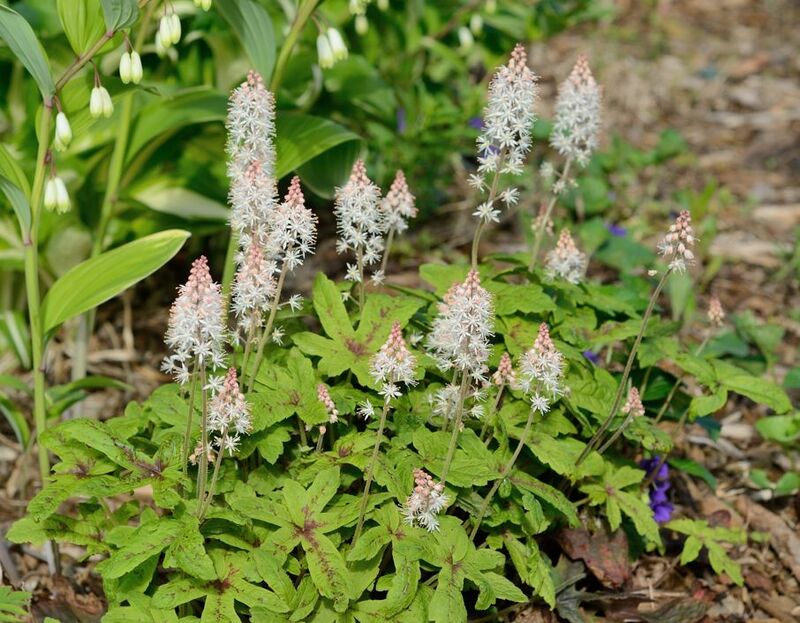 You’ll want to plant tiarella in a cool and shaded environment. They can tolerate some sun, but make sure it’s minimal. Again, moist soil that drains well is best. Take care not to overwater your tiarella in the winter. Don’t let a little shade keep you from landscaping. With the right plants, you can enjoy a lovely garden that will thrive in those conditions.